The Porchfield and Newtown W.I. Hall was opened on 12 May 1960, after eleven years of fund raising. The land was a ‘Deed of Gift’ by Benjamin Woodford of Locks Farm. In 1990 the W.I. Could not afford to maintain the hall. Calbourne Parish Council agreed to lease the land and hall on a 99 year lease in 1992. They gave the W.I. a preferential hire rate, and set up the village hall committee to run the hall for them. 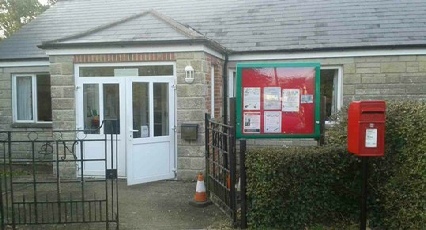 The Hall was extended in 1990, and a new roof and porch built in 2009 as a result of many fund raising events, and a £10000 lottery grant. Porchfield Baby & Toddler Group. 2nd Thursday in the month at 7.00 p.m.
1st Wednesday in the month 2 p.m. - 4 p.m.
Every one welcome, just drop in. There is a fun quiz, raffle and table top sale. £1.50 to include Tea & cake. Porchfield Music Group (All things Music) every Saturday 9.00am - 2.00pm . Contact Graeme on 07713847708 or email pandnvh@gmail.com for more details. Coming in the new year. Guitar for beginners. Starting at a complete beginners level working slowly and sensibly in a fun way to learn everything you need to know. You will also get the chance to play in a small group setting to friends and family. Come join us and who knows where it will take you.